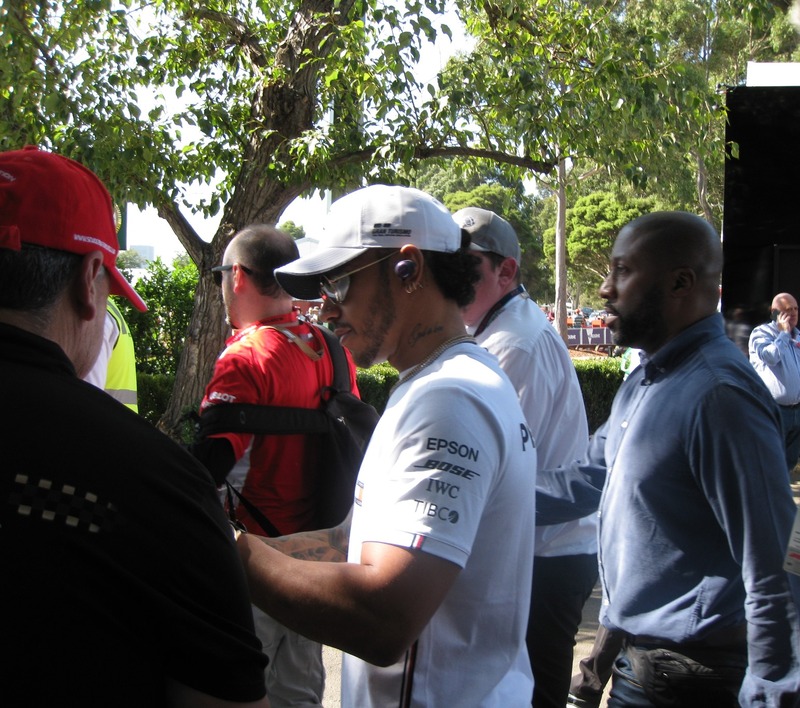 Taking your children to any large sporting event is daunting, but when your family sport of choice is Formula 1 the level of anxiety is multiplied tenfold. The last time my husband and I took our son to a F1 race he was 18 months old, largely contained in a backpack and he slept though the race. This time we would be doing the Grand Prix weekend in Melbourne with both of our children, who are now nine and six years old. I am happy to report that we all survived the four days of action unscathed and we are keen to do it all again soon. How did we do this? 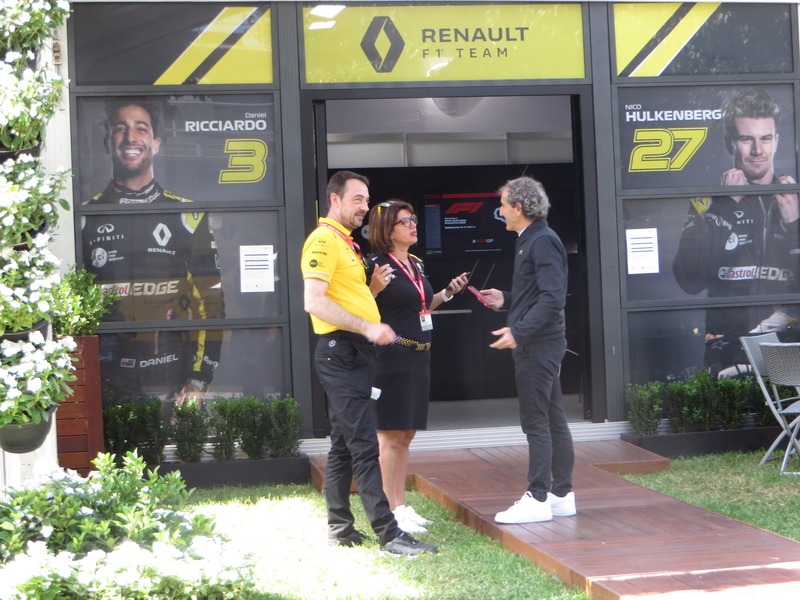 Below are a few of my tips that can not only be used for the Grand Prix weekend, but really any motorsport event that you are thinking about taking your children along to watch. The easiest way to get around Melbourne is using the trams. Tram travel to and from Albert Park, where the F1 is held, is free of charge over the grand prix weekend and there is also a free zone for tram travel within the Melbourne CBD that tourists can use all year round. If you are travelling outside of the free zone then you will need to purchase a myki card (Opal/Oyster card) for tapping on and off public transport or you can purchase paper tickets from larger tram stations. But a word of warning for travelling with children on the trams to and from the circuit, they are very crowded and it can take quite some time to board them at the beginning and end of the day. My suggestion would be to book a hotel within walking distance from Albert Park and make sure you do this at least a couple of months in advance as the best hotels book out early and/or get more expensive as the date for the GP gets closer. Regardless of whether or not you walk to Albert Park or catch a tram you are going to be doing a lot of walking over the weekend. We averaged about 10km each day, so make sure you wear comfortable walking shoes, otherwise blisters will be the bane of your existence. I recommend you pack Band aides with you just in case. Also if you are going to take a pram for smaller children be aware that not all gates around the track can be accessed as many have overpass stairs where prams are not permitted to be taken. This is also the case within the track. You will find yourself needing to walk around the lake as there are stairs to negotiate if you want to use the pontoon bridge that goes across the lake. Maybe invest in a baby back pack instead? We used one when our son was a toddler and it was great! My children are now old enough to carry their own back packs and so they were responsible for carrying their own drink bottle, snacks, hat, lip balm and activities. What do I mean by activities? Well unless you have really passionate motorsport fans for children, at some point they are going to get tired of watching the on-track action (I know this may sound hard to believe for die-hard motorsport fans). So I told my children to pack something light that would keep them occupied when the boredom kicked it. 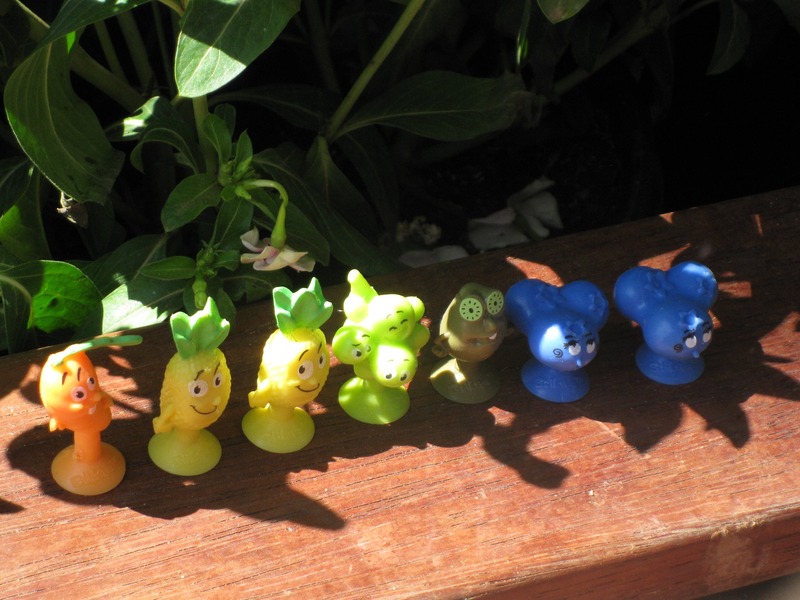 My son took a colouring book and some pencils and my daughter took some Coles stickies (see the photo below of plastic creatures to explain). But pack whatever works best for your children and make sure it’s something you would not mind misplacing on your adventures. The other item that proved to be a real winner for my son was our old digital camera that we gave him to use for the weekend. Although most of the photos he took were not great, he did manage to snap a couple of crackers that we will be treasured forever, see above for the highlights. Food and drinks in the GP precinct are expensive and don’t really cater for snacking children. If your children are anything like mine they will constantly be asking for something to eat, so I made sure that they were well stocked when it came to snacks. These were all light items that were wrapped so they could eat them without having to wash their hands. Each day I also took in a bottle of water each for them and these could be refilled at the drinking water stations located around Albert Park. This was a new innovation for 2019 and one that I’m sure many people were glad to see; as a bottle of water will set you back $5 to purchase! For lunch there are many different food van options and these vary depending on where you are around the track. We found a great hot dog van and fish and chip van, which became our staples for all four days. But we paid $12 for a hot dog (albeit a large one) and $15 for calamari and chips (but calamari was freshly crumbed and was really yummy). So it would be best to budget $20 per person for lunch if you were going to by a drink as well. There are also ice cream vendors scattered around, but allow $5 for a Magnum ice cream. My top tip when it comes to lunch is eat early so you beat the crowds, even if you aren’t quite that hungry yet, it you wait until your children are screaming at you for food then be prepared to be in a line for at least 20 minutes waiting for your lunch. 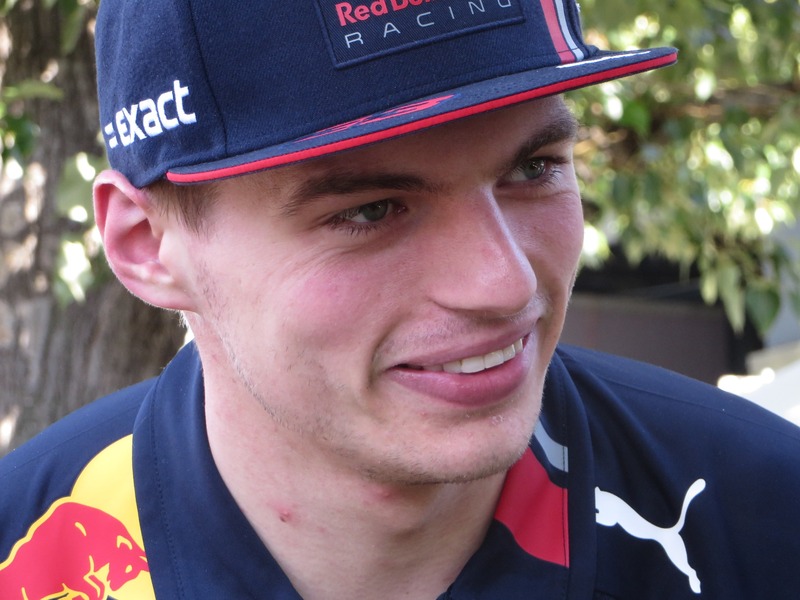 As a mum there are plenty of things to worry about if you are taking your children to watch F1. Firstly the cars are quite loud and the F18 jet fly over is much louder! So hearing protection for your children is a must. For babies and small children who do not want to keep ear muffs on you can use swimming style ear plugs. If you have a look at your local chemist you will most likely locate some that have a decibel rating. For older children, 3M Peltor ear muffs are excellent; they work very well and can be purchased from Officeworks. The weather in Melbourne can be very changeable, a hat and sunscreen are required even if it is overcast as the UV can still burn badly. Also a light jacket is good for both keeping you warm and keeping the sun off you. Shade around the track is limited, so unless you get an undercover grandstand seat or go for the relative luxury of corporate hospitality you are going to be out in the elements, so pack accordingly. One of the most common phrases you will hear over the GP if you have children with you is ‘I need to go to the toilet’. 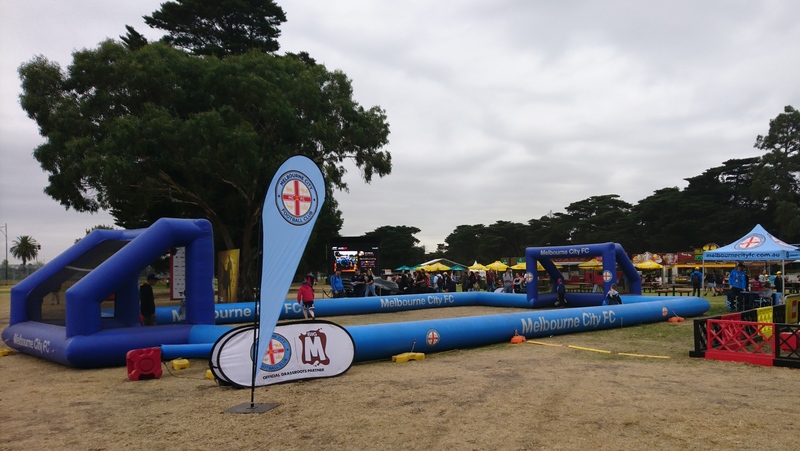 Well thankfully there are plenty of demountable and port-o-loo style toilets located all over the Albert Park precinct so you want have to walk far to find one. I can also report that every toilet I went into over the weekend was clean and had toilet paper! There are also accessible portable toilets and baby change cabins at key locations around the track if you need them. 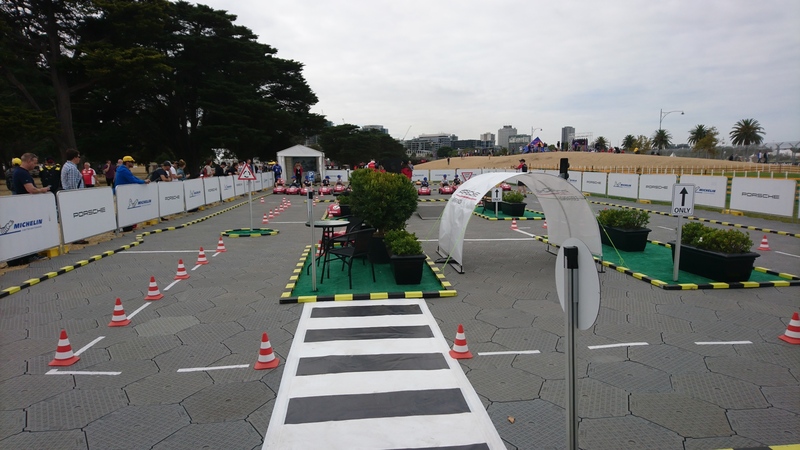 If your children have had enough of watching cars driving by at brake neck speeds then you may want to head to Kids Corner, which is located on the Gate 8 side of Albert Park. 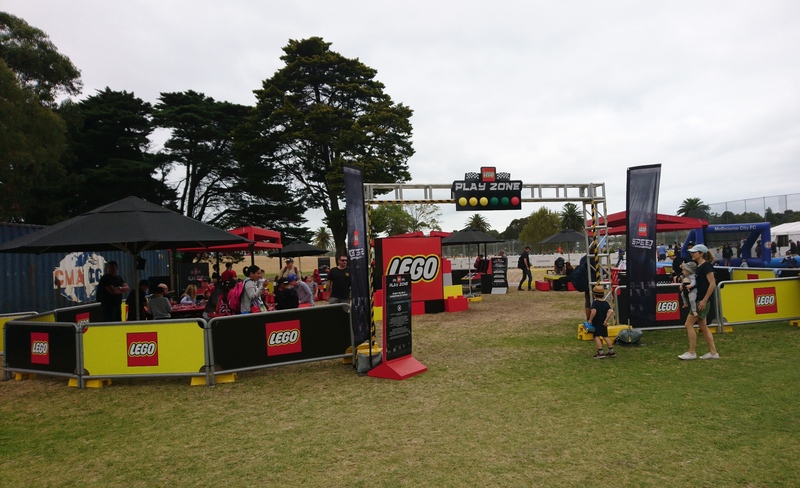 Kids Corner had some fantastic activities this year, both car and non-car related. 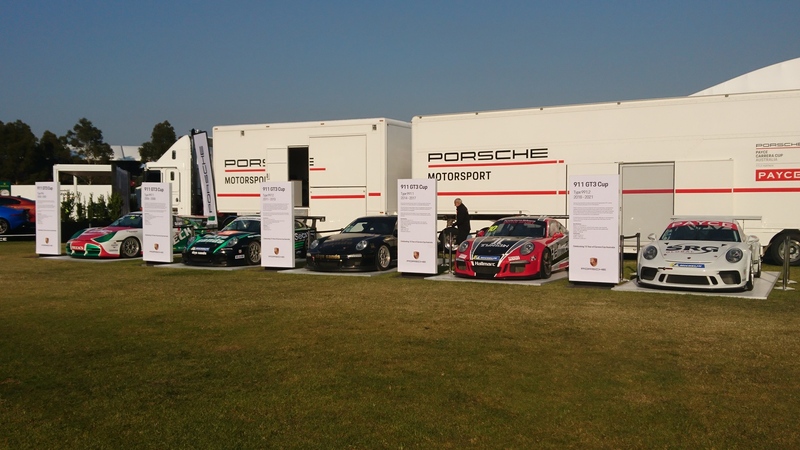 The Porsche mini car experience that was presented in partnership with Michelin Tyres was a big hit with my children, but you have to book in for a session. So my tip would be do to this at the beginning of the day to avoid disappointment. As part of the experience children start with a driver safety briefing with the energetic and fun team that lead them through the activities. Here they learn about road rules like stop signs, pedestrian crossings and traffic lights. The children are then lead out to the Porsche pedal cars and let loose on the custom built track to put their lessons to work. For the younger visitors to the Porsche experience there were small ride on cars for them to enjoy in a separate area. I must say that Porsche and Michelin did a great job engaging with the children because at the conclusion of their experience they all received a show bag with a Michelin cap and Porsche flag, plus some stickers, colouring activities and ear plugs. My two did not want to take off their caps and insisted on waving their flags whenever any car went by on the track. Well played Porsche! Also at Kids Corner was a Jurassic Park land with animatronic dinosaurs that moved and roared at the passing crowd. 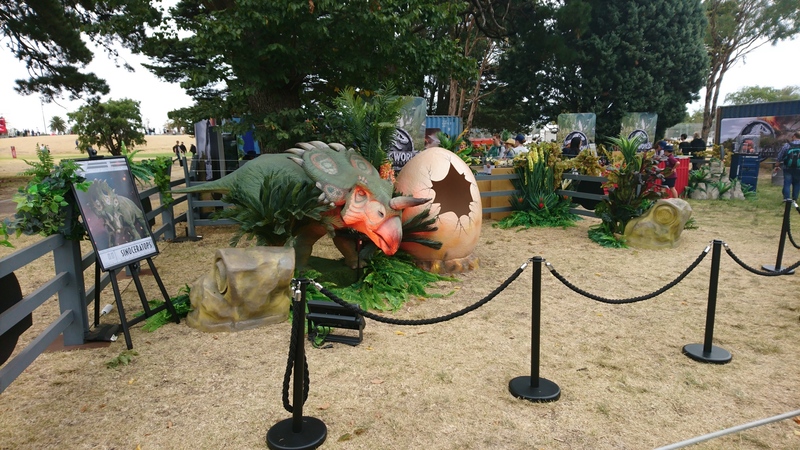 There were various displays for the children to interact with and if your child is going through the ‘dinosaur phase’ then they would be sure to love it. LEGO had a large display area with plenty of tables with LEGO laid out for children to build to their heart was content. But my favourite part of the area was the LEGO Bugatti Chiron that was on display. I really want one of those! Finally at Kids Corner was the mini soccer field for them to have a kick in and a replica of the Bat-mobile for them to see. One thing I didn’t get over to see on the other side of the track was the Land Rover experience where kids big and small could drive around in mini electric Land Rovers. By the Heineken stage my children really enjoyed watching the circus performers who entertained the crowd several times a day. My children also liked playing with the slot cars in the Beaurepaires marquee in the Supercars paddock and we parents enjoyed the seating that Beaurepaires provided under the shade of their marquee. 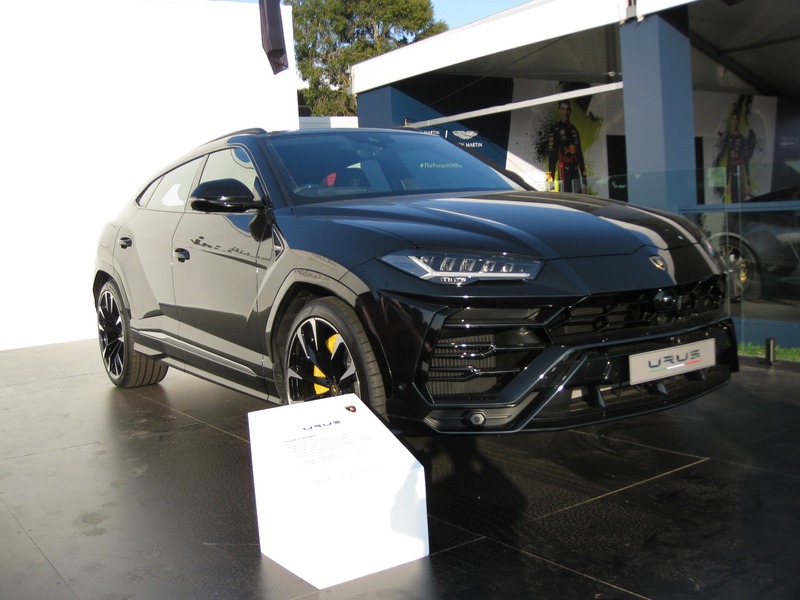 The Australian Grand Prix in Melbourne is now the closet thing we Aussies get to a big modern car show and therefore the major luxury car manufacturers make quite an effort to catch your eye and maybe entice you to think about that dream car purchase. 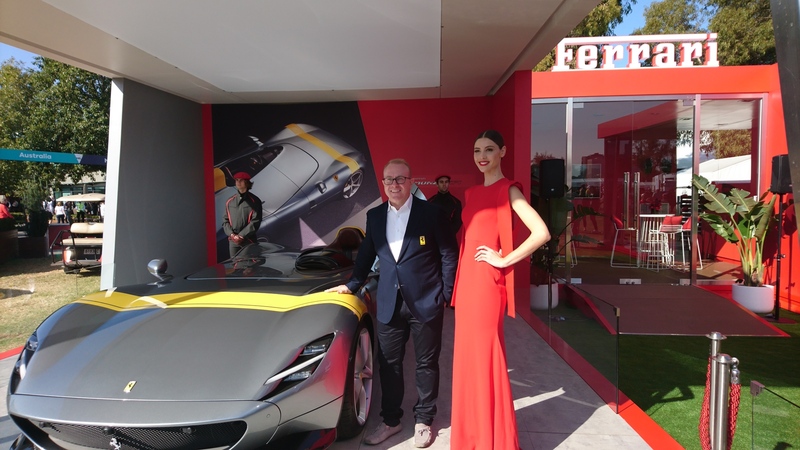 Ferrari had the Monza SP1 on display and a beautiful red Portofino for us the check out and these were incorporated into their ‘Red Lounge’; an area for VIP Ferrari friends to take a break at, enjoy some Gelato and a cold drink. In the F1 Fan Zone in the centre of the track were Alfa Romeo, Lamborghini, Aston Martin, McLaren, Porsche (with the full Porsche Carrera Racing pits), Alpine and Jaguar. 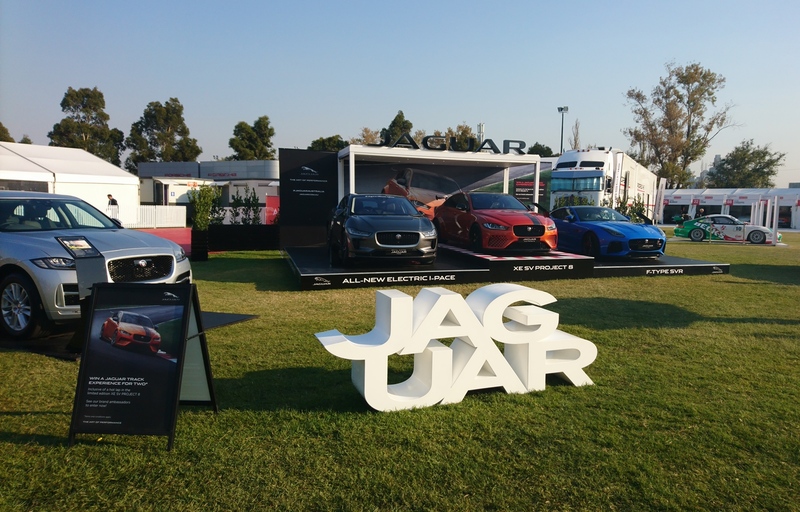 Jaguar also offered people the chance to experience their F-TYPE V6 powered cars being driven around a short twisty road course. 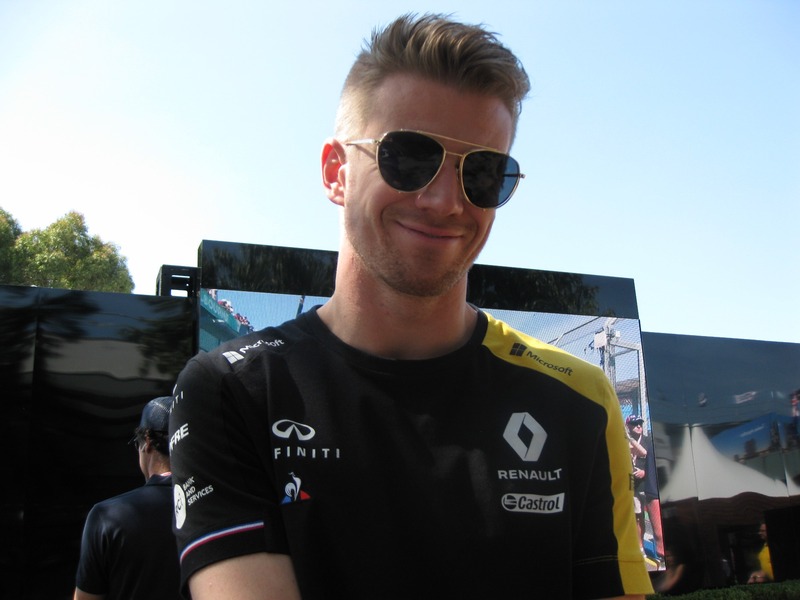 There was also a large display by Renault who have benefitted considerably from Daniel Riccardo joining the F1 team. By Sunday the Daniel Riccardo caps were sold out, even though they cost $70 each! 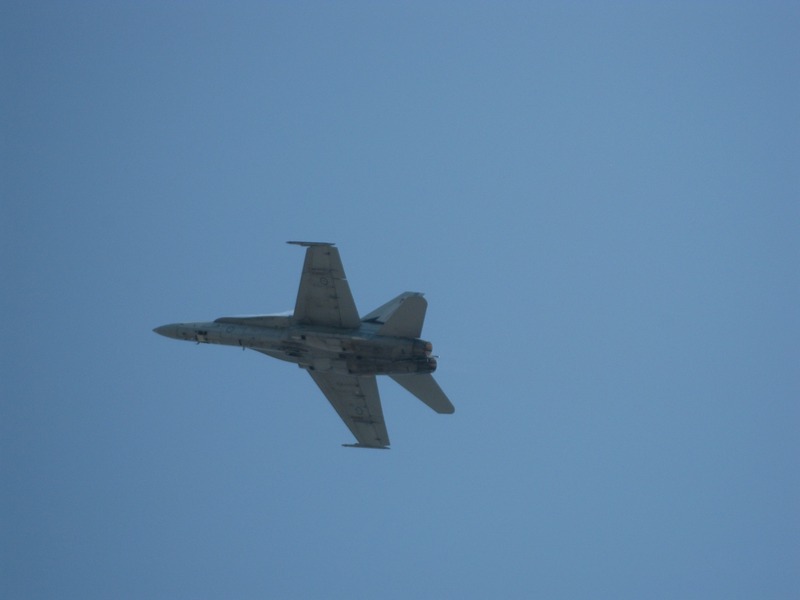 The other off-track highlight me for was the F18 jet flyover; in my opinion the displays over the three days were worth the price of admission! The jet is so low I reckon you could almost see the smile on the pilot’s face as he was entertaining the crowd. On Friday in particular when the jet flew across for its recce, it felt like it was just above the trees; it was so loud and so freckin’ awesome! Why would you want to take your children to the Grand Prix? 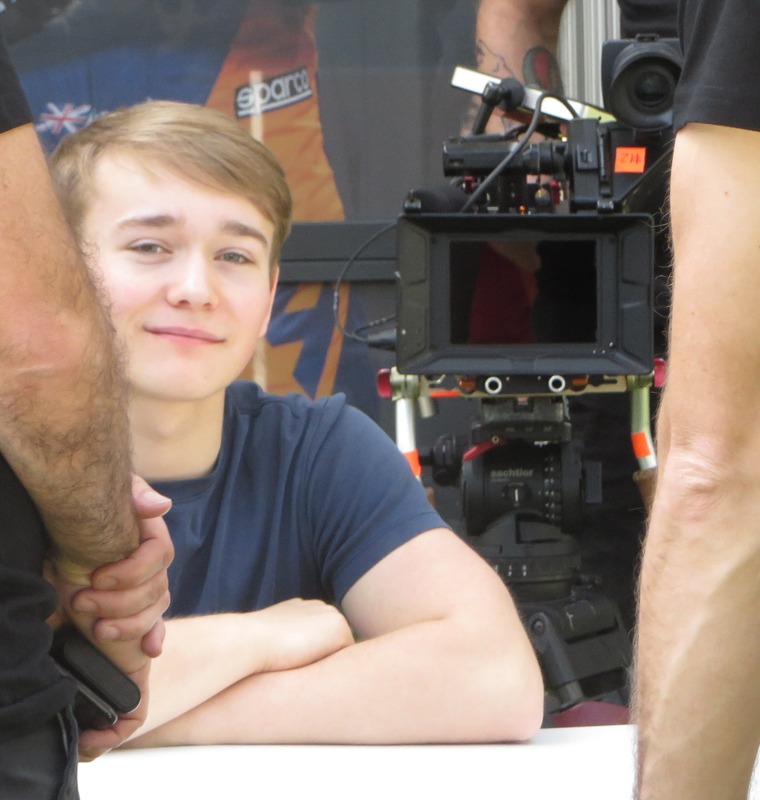 I will admit doing a grand prix with your children is a LOT harder than doing it by yourself, so why would us crazy parents even bother to attempt it at all? 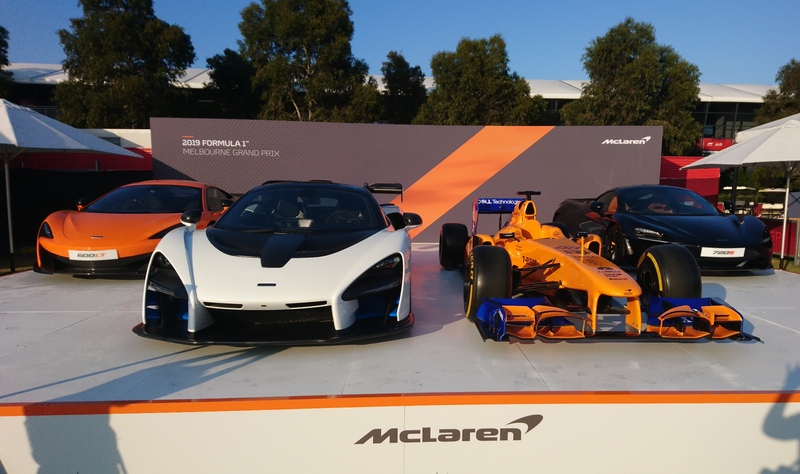 Well for us, Formula 1 cars are also amongst the greatest technical marvels on the planet and to behold them in real life zooming by at more than 300km/h just a few metres away from where you are standing is something that our children will never forget. As I kept saying to my husband we are building memories like the ones that first triggered our love for this sport! Another reason is children under the age of 14 are free with a paying adult, so if you pack plenty of food and don’t buy much at the track then it is one of the cheapest weekend’s entertainment you will get. If you do need to buy a General Admission ticket they cost about $100 for the four days. The price of a children’s grandstand ticket varies depending on what grandstand you sit in and corporate tickets for children cost 75% of the adult price. 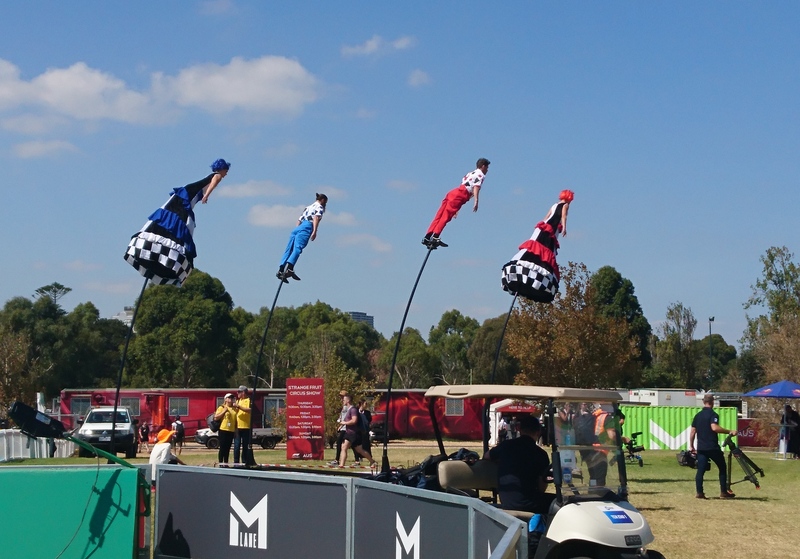 So next year when the Grand Prix circus rolls into Melbourne I recommend you be there, with your children, to make some memories of your own. 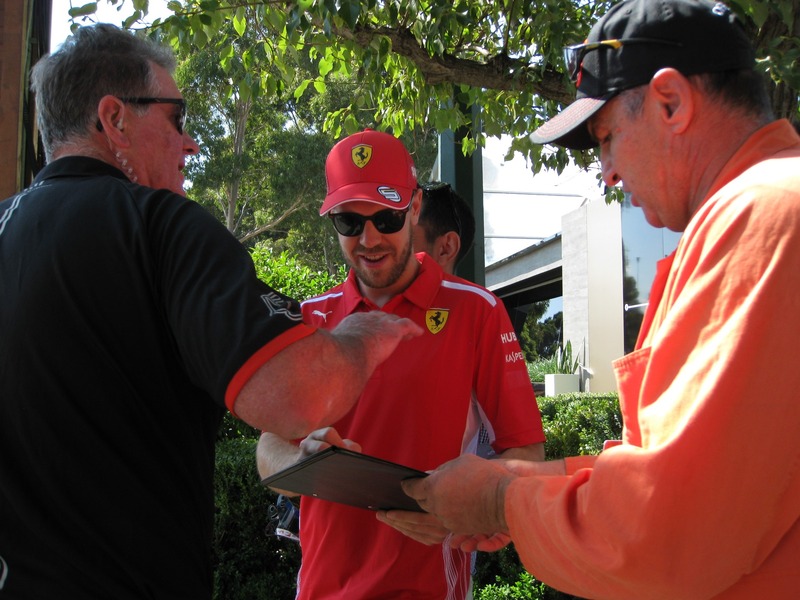 You can register now on the Australian Grand Prix website for 2020 tickets.